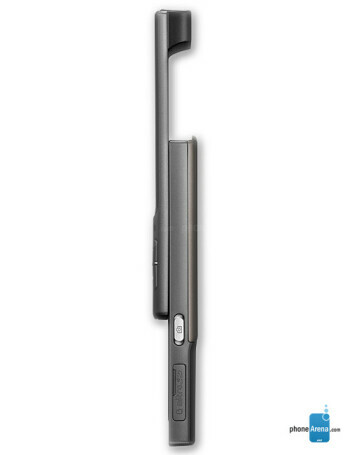 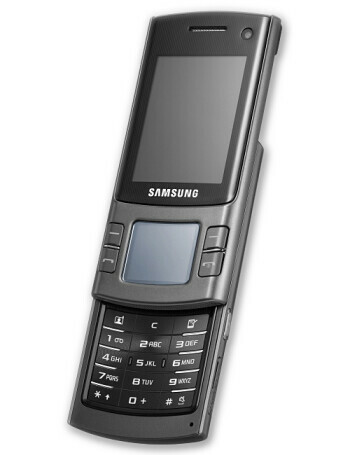 Samsung S7330 is a quad-band GSM slider. 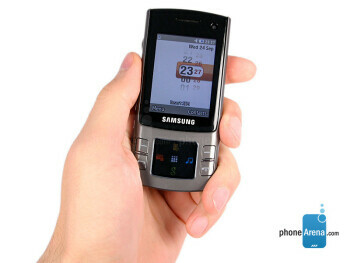 It has QVGA color TFT display and 128 x 112 pixels, 65k color OLED Touch sensitive area for navigation. 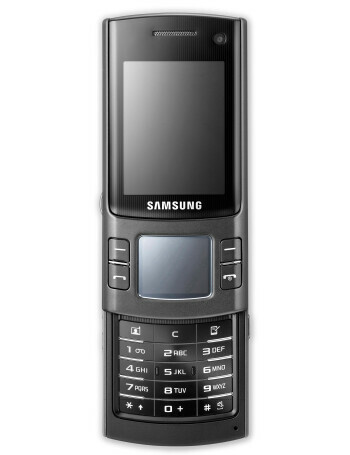 Other features include Stereo Bluetooth, microSD slot for memory, 3MP Camera, Music Player and FM Radio.